In UPilot CRM, you can delegate tasks to someone else both during the creation of the task as well as after a task has been created. You can also use the filters inside the Tasks section to check specifically the status of these tasks to check whether they have been completed or not. You can also set the “Due Date” as “overdue” to check if any delegated tasks are overdue. 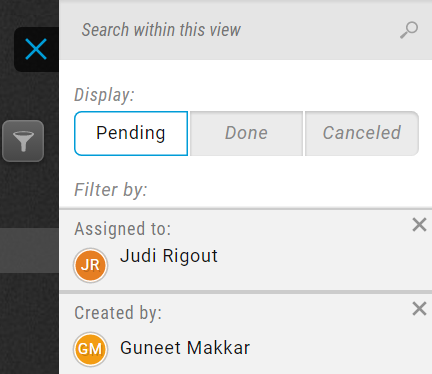 Now, you can view all the delegated tasks of that user and the status of each in the Tasks section. By checking the status of the delegated tasks, you can easily follow-up with others by mentioning them in the note.